Ex-husband of missing Anne-Christine Johnson has been charged with murder. LEAGUE CITY, TX (KTRK) -- The ex-husband of missing 30-year-old Anne-Christine Johnson has been charged with murder in connection to her death, police said. Shaun Philip Hardy, 30, faces first-degree murder charges after he was arrested Friday at his home. Investigators discovered human remains, believed to be those of Anne-Christine, inside his garage. The cause of death will be released pending results from the Galveston County Medical Examiners office. She has been missing since December 8. During an interview with ABC13, Anne-Christine's mother, Stephanie Johnson, said the search at Hardy's home was the second time. The mother of a woman missing from League City says she is devastated by the information detectives shared with her about the search of her former son-in-law's home. 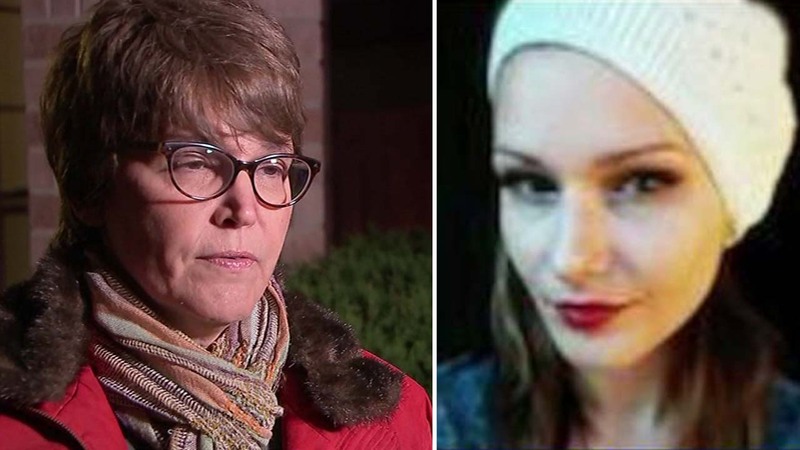 She says the relationship between her daughter and her ex-husband turned violent and that Anne-Christine talked often of her fear that Hardy might kill her. Stephanie Johnson says her daughter stayed in the relationship because of the son the couple shared. "I firmly believe she would be alive if she hadn't kept going back to try to protect the 5-year-old autistic child," she said. The couple's 5-year-old son was home when authorities discovered the body. Bond is set for $500,000.